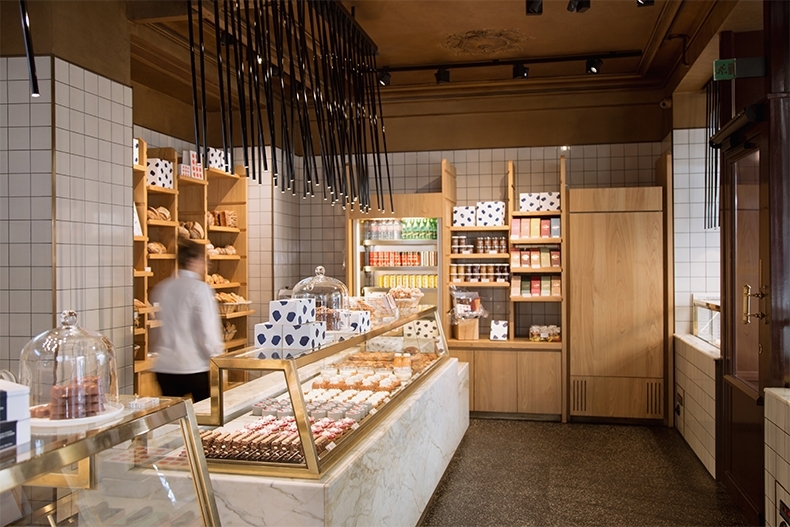 "La Pâtisserie Cyril Lignac", a store conceived and built by the celebrated pair of architects from Studio KO, was designed as a local shop, a neighbourhood venue and meeting place for locals. The shops were devised to be elegant, in the moods of the times, and to give pride of place to noble materials, in the image of the mouth-watering creations that delicately line the windows. Our visual identity is the work of the very talented Studio be-poles. The logotype features a scattering of golden reflections, packaging is dotted with splashes of colour that irresistibly conjure up a piece of chocolate, splinters of hazelnut or the last crumbs of a cake. 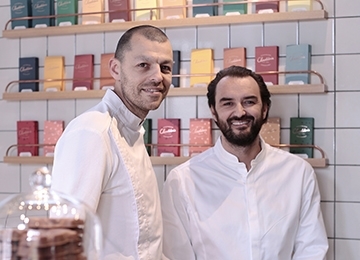 Cyril Lignac and Benoît Couvrand work with passion and feeling to produce pastries that are not only delectable, but also genial and enjoyable. These are creations we produce the two of us together, depending on the mood and season." Since the beginning of our activities, we have been carefully selecting each of our partners to source the best ingredients. Trusted producers who have a real feeling for their products, guaranteeing a regular quality and working in the respect of the values that we defend. 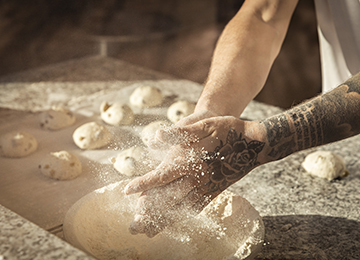 The flours we use come exclusively from Minoterie Viron, reputed for its expertise and rigor in the selection of the best wheat. L’Or des Prés supplies us with all our dairy requirements. The butter is a fresh butter Charentes-Poitou. 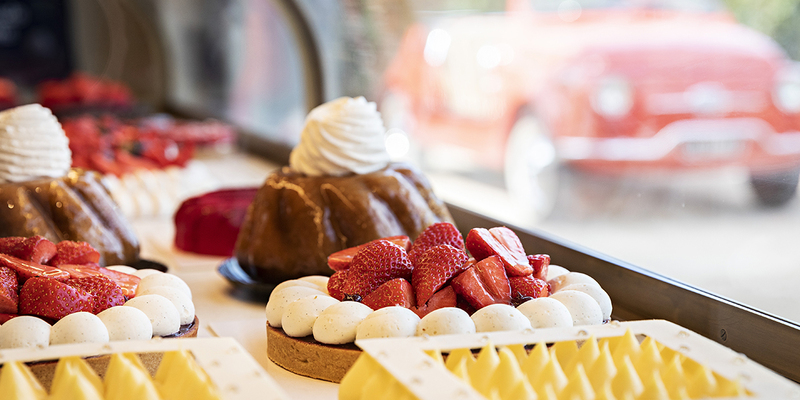 Our production, remaining artisanal, is based on the know-how of our pastry chefs and chocolatiers, all guided daily by Chefs Cyril Lignac and Benoît Couvrand.